It’s no secret that we love college football. I mean, a) it runs in my family, b) it runs in B’s family, and c) we live in the south. Brian and I were bound to be a college football obsessed couple! As you aaaall know, we are die-hard Georgia Bulldog fans. Brian and both of his sisters graduated from there, my grandfather graduated from there back in the 40’s, one of my cousins graduated from there a couple of years ago and has been working with the football team for the last six years, and another one of my cousins is currently in her sophomore year there. 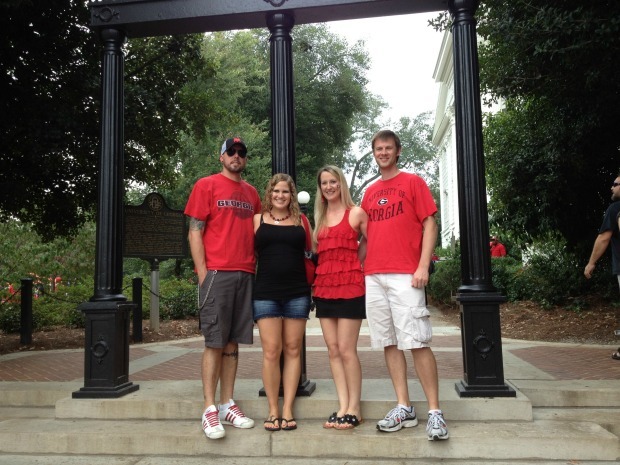 Our love runs deep for the red and black and we have the season tickets to prove it. We are three games deep already with still a few months to go, and we’re as happy as clams as you can probably imagine. We’ve already been to one game, and we’re hoping to head to Athens for two more before this season is over. 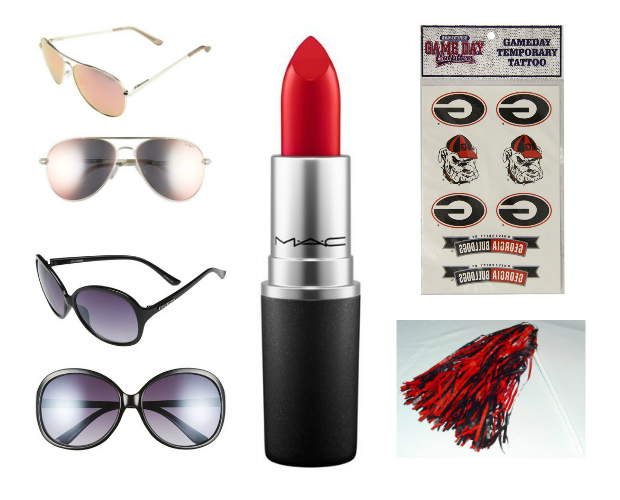 In case you didn’t know, the game day style is almost just as important as the actual football itself down here in the south, and today I’m sharing my favorite game day staples. Down here in the south, girls typically dress up for college football games. And by dress up, I mean we literally wear dresses. Or skirts. Or leggings and dressy tunics. Or rompers. I had always assumed that was a college-football-wide thing, but it was recently brought to my attention that most people don’t do that anywhere else. I had no idea! I love that tradition, though, because… any excuse to dress up, right?! The beginning of football season down here in Georgia is always brutal weather-wise as we are always dealing with temps in the 90’s and high humidity. Therefore, short and light dresses are always welcome. And it doesn’t get much comfier than a flowy sundress anyway! 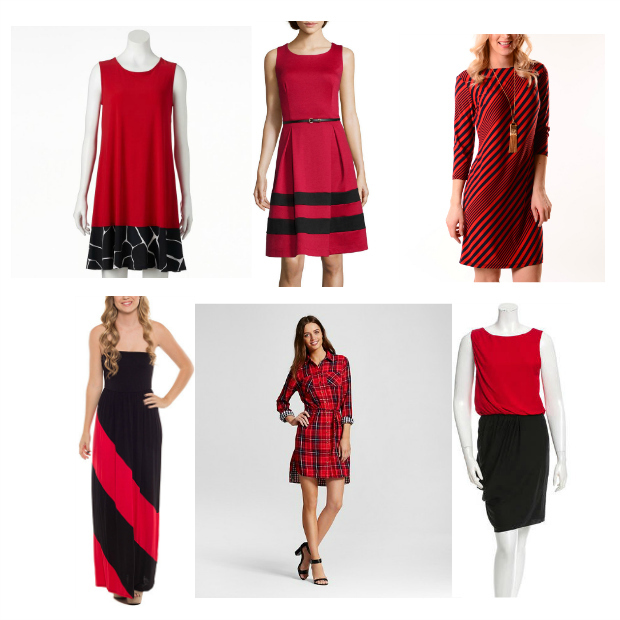 For the colder games, we add tights or leggings and sleeves to our dresses and we call it a day! All of the girls wear boots to the games. Repeat after me. All of the girls wear boots to the games. 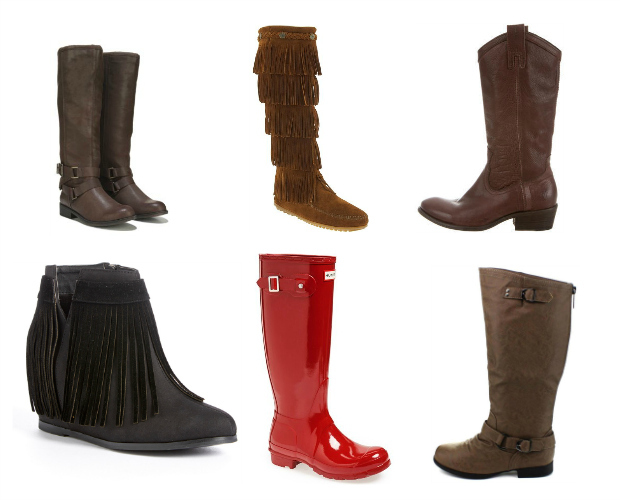 Boots with sundresses, boots with rompers, boots with jerseys, boots with tunics and leggings. We just do. Unless it’s 99 degrees… then this girl doesn’t. Because sometimes being cool is more important than fashion. But only sometimes. Since we tailgate so far from the stadium, footwear has to be as comfy as it is cute. We literally walk miles when we attend games, so I always wear flat boots or boots with a low heel. It doesn’t get terribly cold here, so for those chillier months, adding a jacket and a cute scarf to your ensemble is typically enough to keep you warm. I have been to a few games that were bitter cold and required toboggans and gloves, but those are few and far between. Ok, this is where I have a hard time. On a daily basis, I carry a giant purse and it literally weighs probably seven or eight pounds, but I always downsize for the games because otherwise, my giant bag wears out my shoulder since I carry it around all day. Not to mention that just this year a lot of NFL and college stadiums have implemented new rules for handbags anyway. A lot of them now require either a clear bag (you can find them with handles in the makeup section of Walmart for $10, ladies!) or you can carry a small clutch no bigger than 4x6. So far, UGA hasn’t implemented these rules, but they do search all bags thoroughly upon entering the stadium, so it just makes things easier to have a small bag. A lot of girls carry clutches, but personally they’re not quite big enough for me, and I also don’t find them very comfortable. I prefer a small cross body bag because it frees up your hands, and you don’t have to worry about someone snatching it off of your shoulder since it’s around your body. We’re big fans of team face tattoos down here as well, and I always wear one to the games. Red lipstick is also fun just because I don’t have many other excuses to wear red lipstick. Pom poms are great for rooting on the team during the game, and sunglasses are a must since we’re outside all day. And before I let you go, don't forget about the JORD giveaway that I'm hosting here on the blog... the contest closes on Monday, so you still have a few more days to enter if you haven't already! ENTER THE CONTEST HERE and see this post for more details. You could win a $100 e-gift code for your own JORD watch, and everyone gets a $20 e-gift code just for entering! There you have it, friends! 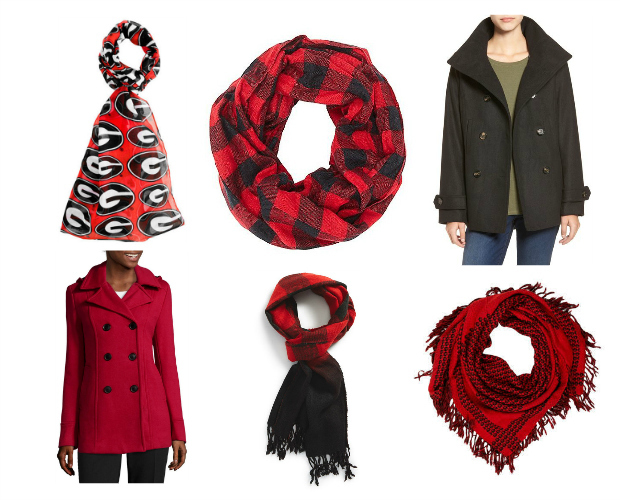 Who do you root for and what do you wear to games? My cousin went to Auburn and I was so confused to see her in a dress for the football games. I didn't understand. At Purdue we were game shirts or crazy costumes due to attending Breakfast Club before the game. She explained it was a southern thing (though she's from Ohio). It's fun to see the contrasts from differen regions. I love that you guys dress up! A cross body is definitely my go-to when out and about - need that freedom to move and not have my shoulder hurting! I love dressing up for Alabama games and searching for clothes are appropriate to wear to our games! I told Dustin last weekend that if I wasn't an AL fan, I think I could be an Ole Miss fan simply because of the colors they get to wear haha! You know college football runs deep in our veins too. Just swap out the colors for my ND Irish and these are the kinds of outfits I wear on game day. I have to admit, red is my favorite color so I may be a Bulldogs fan just to wear this cuteness. Actually my dad has always loved your bulldogs and my husband and I like to pull for many college teams. GO DOGS!! and Happy Weekend gorgeous!! I have to say, I do cheer for Notre Dame as long as we're not playing y'all! I'm Catholic, so how could I not support such a great Catholic college?! Happy weekend, Andrea! I love this post! I went to Alabama and definitely wore dresses to every game. You always look so cute and put together for game day. Love the options you showed! Have a great weekend friend! Dressing up is not a thing around here for college football, but I love it! You're right, any excuse to dress up is so fun! 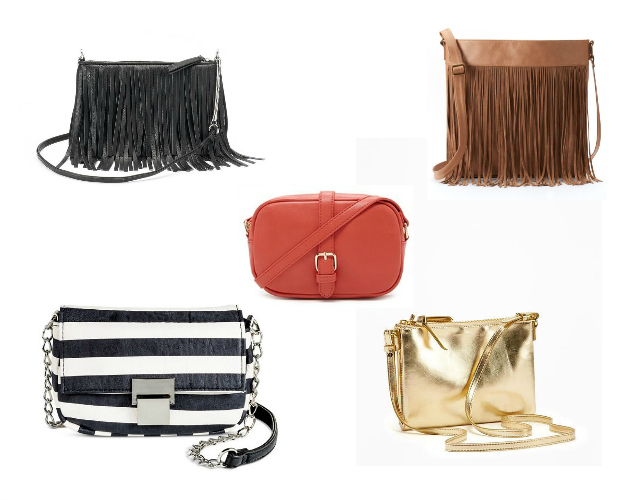 I love that brown fringe purse! Georgia's looking pretty good since you guys got Kirby Smart from us! Roll Tide! YASSSSS on the red lipstick. And I have always been a fan of the little face tattoos ... can't not feel cute wearing one! Right?! I will never outgrow the face tattoos!! I love your outfit combos! I went to the University of Pittsburgh and we didn't dress up for games at all. When I moved to NC and started advising my sorority's chapter at NC State I really had no idea that dressing up to tailgate was such a huge thing! I went to school in Arizona and we definitely did not dress up for games, but I love the idea. Your outfits are so cute! I also love the cross body bag suggestion. I really need to get one for going to events. It's so much easier than my massive purse! Oh we southern girls MUST dress up for the games and I do love the tradition. I was like you and didn't realize everyone didn't do it. Love so many things that you have featured. PS: I'm a wildcat by birth but do love UGA football! Here's to a great season. Such a fun post. My favorite part is definitely all the photos of you wearing your suggested styles. All oh so cute! Happy, happy FRIDAY! I love how you styled your Hunter Boots with black leggings, a striped tunic & scarf. My husband bought me a red pair for Mother's Day, but I haven't worn them much yet. I am looking forward to wearing them this fall & winter!! Love Love all your red and black!!! Can't wait to watch The Dawgs tomorrow!!! I NEED those red hunter boots. Thanks, Heather! And yes girl, I LOVE my Hunters. They are so comfy and cute. These are all so stinking cute. You look completely adorable in red and black too. Cute outerwear is so important because it's often pretty cold on these fall game days! Well, at least it is here in Canadaland. I've been rocking my Carolina blue scarf this weekend to support the Tar Heels! I pretty much love everything you posted! I just bought a bright red shirt which is so unusual for me! Well you know I love the red, so I'm sure you'll look great! Have a great weekend, Stef!